Jeff Weise is seen in this 2005 class photo. Weise had been treated for depression and lost several family members. RED LAKE, Minn. – Two days after a shooting rampage on the Indian reservation in Red Lake left 10 dead, friends, relatives and neighbors of the teenage assailant began to sketch a portrait of a deeply disturbed youth who had been treated for depression in a psychiatric ward, lost several close family members, sketched gruesome scenes of armed warriors and had been removed from the school where he gunned down most of his victims Monday. Still, even the few people close to him were at a loss to pinpoint precisely what triggered Jeff Weise’s deadly outburst, and officials provided little information about the 16-year-old gunman. On the Red Lake Indian Reservation, officials held a private prayer service Wednesday night and met to discuss when students might be able to return to school. Superintendent Stuart Desjarlait said it might take months for the high school to reopen because of the “extensive damage” from Monday’s rampage. Five students, a teacher and a security guard were killed at the school. Seven students were wounded, and two remained in critical condition Wednesday at a hospital in Fargo, N.D.
Federal authorities said they were conducting autopsies on the gunman and his nine victims, but FBI spokesman Paul McCabe said he did not anticipate releasing any information in the near future. Tribal leaders were even less forthcoming, strictly limiting reporters’ movements. Tensions rose throughout Wednesday, with some residents whispering fears that if they spoke to outsiders they would suffer retribution. Residents of neighboring communities offered cautionary tales about violence on the reservation, and the Justice Department created a task force to deal with gangs when Red Lake suffered five homicides in seven months in 2002. Because Red Lake is a “closed” reservation, it operates as a sovereign nation, running its own police force and dictating who may set foot on the property. 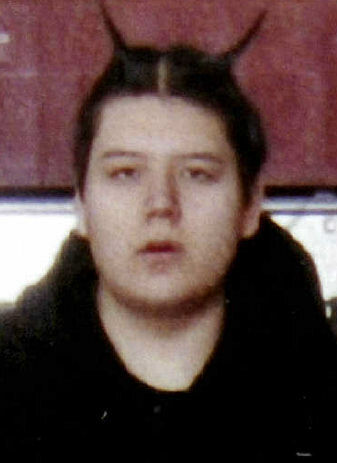 Those willing to be interviewed described Weise as a young man who drifted among various homes on the reservation, listening to heavy metal music, proclaiming his affinity for Adolf Hitler and periodically showing up at the high school, even though Desjarlait said that six months ago he had ordered Weise to stay at home for tutoring. He was taking the anti-depressant Prozac and at least once was hospitalized for suicidal tendencies, said Gayle Downwind, a cultural coordinator at Red Lake Middle School, who taught Weise. It was not uncommon for Weise to spend at least one night a week at her home. In his 16 years, Weise lost many relatives. He was estranged from other family members and had a strained relationship with Daryl Lussier, the grandfather he killed at the start of Monday’s rampage. Family and friends said that Weise’s father, Daryl Lussier Jr., committed suicide in 1997. Two years later, a serious automobile accident killed a cousin and left Weise’s mother with partial paralysis and brain damage.